I continue to search for picture books to incorporate into my classroom library, the more diverse, the better. At the 2016 International Literacy Association conference, Adora Svitak said, "Understanding starts with the stories we read." By providing access to diverse books, we open students' minds and worlds. I can't think of a more appropriate time for these books than right now. 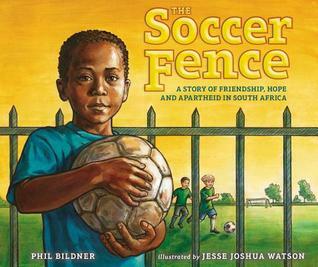 The Soccer Fence tells the story of Hector, a young boy growing up in South Africa during apartheid. He spends many years watching other boys playing soccer through a fence, but never gets asked to join them. When Nelson Mandela is released from prison, things begin to change. Framed through soccer, this is a book that will appeal to my students. They'll be excited to learn more about the Bafana Bafana team and enjoy Jesse Joshua Watson's illustrations of the fan reactions to the team's win. I thought it was a bit unrealistic how the other children's opinions of Hector changed so quickly, but would highlight how similar their interests were, despite different backgrounds. 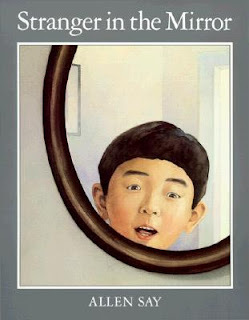 Stranger in the Mirror has to be one of the strangest picture books I've ever read. While searching our library for books about social justice issues, I turned to the Allen Say section, because his work is usually poignant. While this book does attempt to tackle ageism, it is so bizarre that it doesn't seem to work. One day, Martin wakes up and he looks like a very old man. Doctors can't find a reason why and he feels okay, so he is sent to school. Martin's classmates ridicule him and his sister starts to call him, "Grandpa." Martin struggles with the change until he realizes he is the same, no matter how he looks. There are social justice issues here, but my students will be so distracted by the odd plot that they won't be able to focus. On a positive note, Say's illustrations are gorgeous, as always. 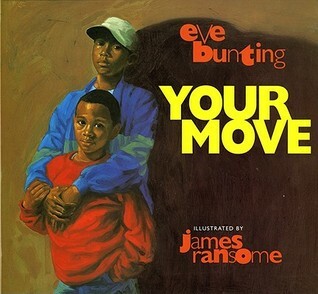 Your Move is such a gem for teachers; it can be used as a mentor text for so many different units. I'll be using it as part of our social issues unit, focusing on peer pressure. James will do anything to join the K-Bones, even sneaking out his younger brother late at night to vandalize some property. While he knows it's wrong, he wants so badly to fit in that he loses focus on what he should do. The text is simple enough for any reader, but the issues are complex. We'll be discussing what small issues get resolved in the book, as well as which larger issues remain. This book belongs in every school's classroom.